Start by chopping the onions, no need to cut them finely since the soup will be blended. 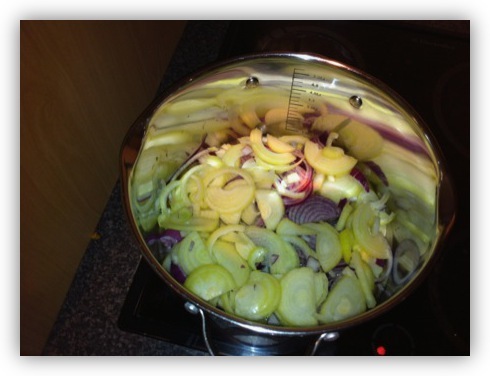 Start the onions frying in the bottom of a large pot with some vegetable oil over a low heat. 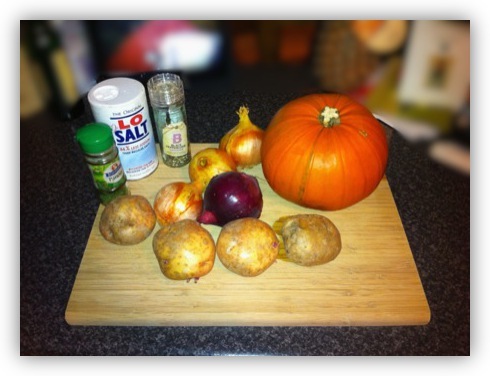 While the onions are frying away, peel and dice the potatoes, and prepare the pumpkin. I cut mine into quarters, then use a knife to cut out the seeds and stuff in the middle, and skin the outside before cutting into strips and dicing. The aim is to end up with about the same amount of pumpkin as you have potato, for me that worked out at half a small pumpkin. 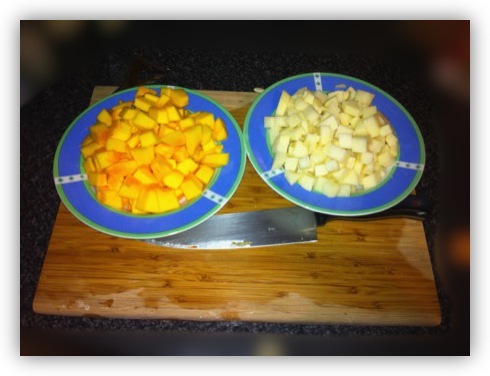 While you’re chopping away, you should also boil about a litre and a half of water. 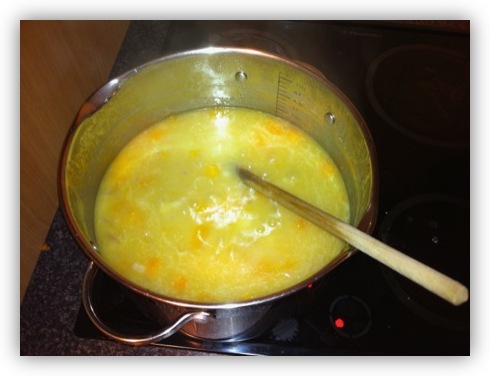 When the onions are nice and soft, you should add the water, and the diced potatoes and pumpkin into the pot. 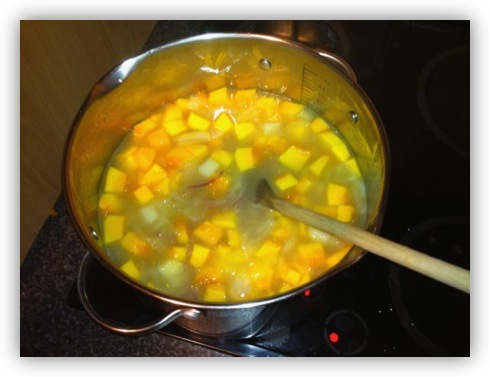 Bring the mixture to the boil, and allow to simmer for about 20 minutes, until both the potato and the pumpkin is thoroughly cooked. 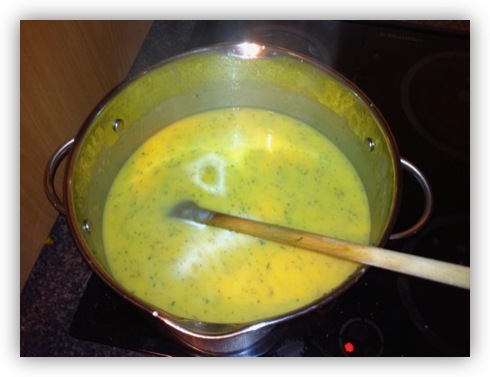 The potatoes should basically be disintegrating, and the pumpkin should be very soft when you stop simmering the soup. The water should have turned distinctly orange too. However, I like to add a few more flavours to the mix by adding in about a tsp each of ground nutmeg, ground coriander, and ground cumin.